Celebrate your coming of age with giant, light-up numbers! Whether it is your 18th, 21st or 70th, any age is available! If a party-themed word is more your style, Send us an e-mail at info@giantlettercompany.com with your idea and we will create it for you. 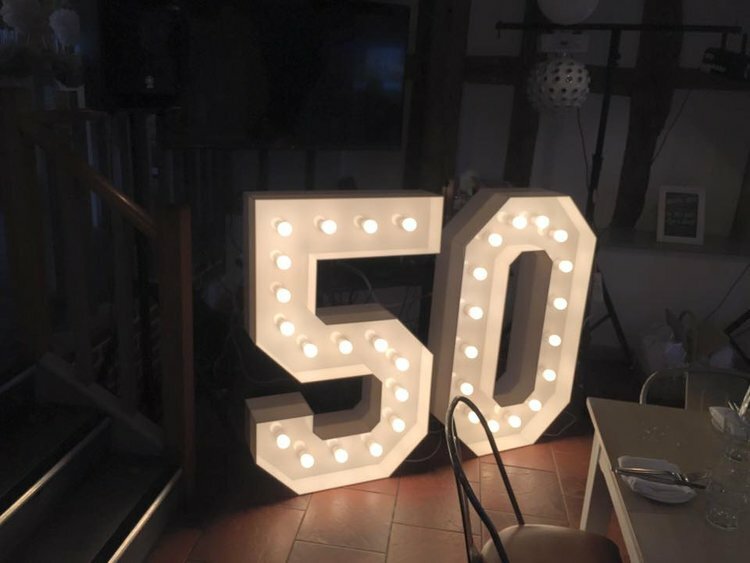 Made from heavy duty acrylic and fitted with golf bulbs, they are the same as our original giant letters - measuring at 1200mm tall. All letters and other words are available.